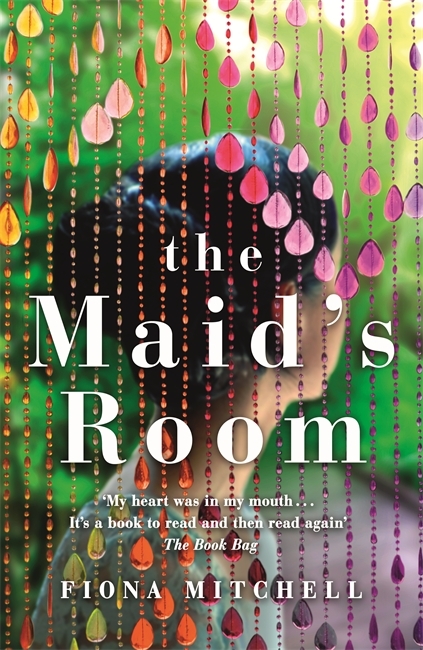 Congratulations to Fiona Mitchell whose debut novel, The Maid’s Room, has just been published by Hodder & Stoughton. Fiona has been shortlisted three times for the Bristol Short Story Prize so we have been aware of her writing talent for some time! 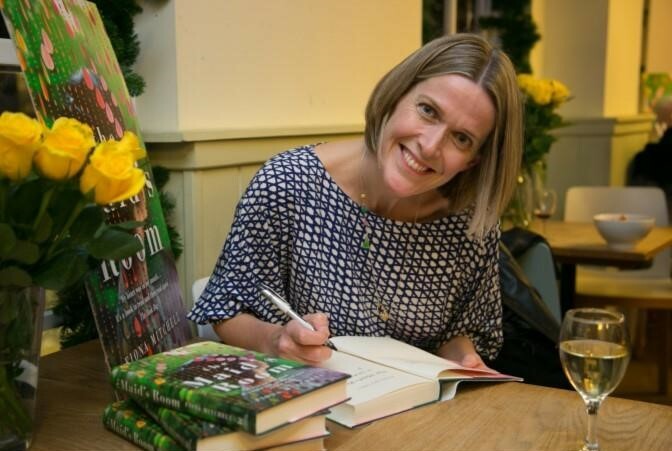 We took the opportunity to find out more about the novel and Fiona’s approach to writing. Congratulations on the publication of your debut novel. How does it feel to see The Maid’s Room out in the world? I felt relieved and elated to hold a finished copy of my book in my hands for the first time, and to see the book on a shelf in Waterstones. It felt as if all those years in the wilderness of rejections and rewrites had been worth it. The best thing for me though is when people really connect with the book – I’m lucky I’ve had so many good reviews in the national press and on book blogs, but I know it won’t be for everyone. That feels quite exposing in a way I wasn’t expecting. I started writing The Maid’s Room while living in Singapore for almost three years. Many people there have live-in domestic helpers and I was astonished at how badly some of the women were treated. They had no legal right to a day off, and many employers took the women’s passports away and issued curfews. I can never understand how people can fail to see the humanity in others, and I felt sickened and enraged by it. I turned the rage into energy and began to write. I’m a journalist, but decided to write a novel instead of a feature because I wanted to explore modern-day servitude in a much larger piece of work. I hoped my book could shine a light on this issue, raise uncomfortable questions, and start a conversation. How tough was your road to publication, and were there times when you considered giving in? The struggle to get a literary agent was the toughest part of the whole journey, but then I think it’s tough for most writers to get signed. It took me about four years to get a literary agent. I accumulated a stack of rejection letters, and at one point seven literary agents asked to read my full manuscript and still turned me down. My confidence took a battering and I tried very hard to persuade myself to give up, but found it impossible. I kept asking myself ‘Why are you spending hours writing instead of being with your family when you might never get published?’ I carried on regardless, rewriting my book and writing short stories too. Being shortlisted in the Bristol Short Story Prize three times lifted me when I needed it most. Eventually I shelved my first novel, wrote a second book (which was horrendous), then started on a third book using the central idea of modern-day servitude from my first novel. What do you think is the most important quality a writer needs to get published? Perseverance. The only reason I got a publishing deal with Hodder & Stoughton is because I refused to give up. It can take years to get there, but during that time, your writing is bound to get better. In order to persevere you need an idea that you’re passionate about. That idea will sustain you through the many blows you might have to weather. Do you deliberately set out to write a novel or short story? When I come up with ideas, I always know whether they’re going to be a short piece of work or a longer one. I haven’t written a short story in ages, but need to write one to a deadline and I’m feeling slightly scared about it. Short stories require such precision – whereas with novels you have more space to move around in. Which books and writers have had the biggest effect on you? My biggest influence is Maggie O’Farrell. I’m in awe of her work. She’s such a gifted storyteller, eking out maximum detail from certain moments and reaching into the very core of the character. Her work transports me completely. I adore Khaled Hosseini who manages to evoke such emotional depth, and I love writers who do humour brilliantly – top of my list at the moment is Gail Honeyman with her hilarious and heartfelt Eleanor Oliphant is Completely Fine. I love short stories with an edge of humour too – a particular favourite is Wells Tower’s Everything Ravaged, Everything Burned. If you ran your own publishing house, which writers and what books would you like to be publishing? Terrorism, racism, misogyny and poverty; the world can seem like a very bleak place to be at the moment. I’d publish books that not only reflect and explore these turbulent times, but also add humour to them, and imbue hope, so you walk away feeling empowered. Any book I published would have to have kindness at its centre. The Maid’s Room is out now. Fiona’s Bristol Short Story Prize shortlisted stories can be read in our volume 7,8 and 9 anthologies.